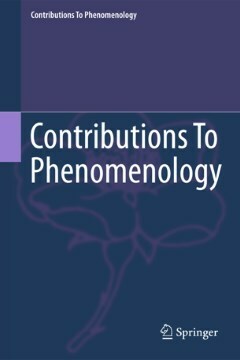 Looking at the illustrations and examples that are usually chosen to discuss the structure of joint action in the literature on collective intentionality, one might sometimes feel magically disburdened of the troubles of mundane interactions and transferred into an idyll of smooth cooperation. Thus John Searle, in his writings on the topic, treats us to some homey scenes, with people dexterously preparing a meal or playing music together (Searle 1990). Out on the street, Raimo Tuomela has a traveling choir joining their forces to push their broken-down bus up the hill (Tuomela 1995: 137–138). In the park nearby, some of Robert Sugden's team-thinkers are engaged in a game of football (Sugden 2000), while beneath the trees, Margaret Gilbert's committed couple of friends are out on their Sunday afternoon walk (Gilbert 1996). Michael Bratman, finally, takes us farther out into the woods. Here, we meet Abe and Barbara, who are patiently and diligently working together to pump water to their weekend cottage (Bratman 1999: 150–151).As has already been noted (Baier 1997b), this is a world of cooperation between keen and capable contributors, in which the exceptions to the rule are few indeed. Thus there is a disabled person in Tuomela's group of car pushers. But even he is doing his best to promote the collective venture by making encouraging remarks from his wheelchair (Tuomela 1995: 138; Tuomela 1991: 272ff.). With all these willing volunteers and keen contributors, the world to which our philosophers of collective intentionality invite us is an attractive place. At the same time, however, it might appear to be somewhat unreal. Even if we accept such limitations as the concentration on small-scale cooperation among adults, something is missing. Where have all those negligent, sloppy, unfocused, forgetful and weak-willed people gone whom we know from real life, all those who for some reason or another fail to do (or even fail to intend to do) their part in their collective projects? And where are those recalcitrant, fractious and unruly fellows who not only fail to do their part, but even have the intention not to do their part, in a shared cooperative activity? Schmid, H.B. (2009)., On not doing one's part, in H. B. Schmid, Plural action, Dordrecht, Springer, pp. 47-58.